Check out this giveaway to win a copy of Meg Kimball’s book Unraveled! 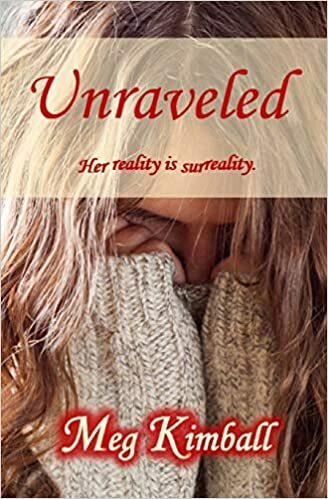 You can read my book review of Unraveled here. Why does bad advice happen to good people? Everyone, please enter my giveaway for Unraveled! Tell your friends! Win a paperback! The giveaway’s only valid in the US and Canada. My apologies for that. Goodreads didn’t allow me to select any other countries. Granted, they’re trying to save me money on shipping costs, which I guess is nice of them. Enter for fun, enter for luck! This novel is about schizophrenia and past lives, being psychic versus being psychotic. It’s a YA psychological thriller which takes place at a mental hospital. I’ve gotten off to a slow start with promoting it, but it’s entered into an indie contest (results to come), and I’m excited about this giveaway. Tell your friends! Ten people are guaranteed to win… you may as well be one of them! THANK YOU SO MUCH!! You the bestest!!! Thanks so much! Entered and followed.